Mike Rasmussen, the quiet, unassuming and even-handed police chief of Lake Geneva. His continuance with the wonderfully efficient, modern and truly serving police force of Lake Geneva is still in question. 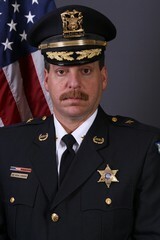 He continues to be harassed by Officer Dyon, a man still working in the chief’s own department, because this leader believes his people should be able to formally disagree, and even come after him based on the submission of the flimsiest of social garbage passing itself off as “evidence.” Mike Rasmussen is the kind of leader who leads from the front, like he did in the United States Marine Corps. He was there for the whole Electric Christmas Parade on Saturday night. You didn’t see him because he was circulating behind the scenes in his personal black pickup truck. Quiet, nondescript, totally loyal, and hard-working. The chief is a salaried Lake Geneva employee. He didn’t have to be rolling about the perimeters of the parade to make sure everything was okay and his people were doing what his people invariably and dependably do. But there he was. Lake Geneva has the best police force and chief in the state, if not the nation. Merry Christmas to this fine band of quality, merry men and women, and their leader. Small business owners in Lake Geneva beware! Last week the Geneva Shore Report ran an article about the low life, obnoxious, clauses in one of MKK Broad Street, LLC leases. It turns out the real scam, not even covered in that article, is about heating units. If the heating unit, covered under one of those lease clauses, fail, then the small business is responsible for it’s repair or for putting in a new unit. This same clause was used to oust The Green Eyed Lady shop that used to be located on Campbell Avenue. Inland issued that lease. The Green Eyed Lady ended up in court because she was forced to replace a twenty-year-old heater (or freeze) for thousands of dollars. After that repair she could not get a break on her rent or make the payments. Out she went. And Inland got themselves a new heating unit. Check your electric meter, not for usage by your business, but another. If you are renting the downstairs of a business property, check that the upstairs (unless you’re leasing that too), has its own electric meter…and that the meter is connected. Why? Well what is often going on in many of these downtown buildings is that they are using electricity paid for by the business leasing the space below to heat their space! That should be theft. But try to prove how much electricity was really used when upstairs’ tenants have been riding along on the downstairs bill. Get out there and start checking. X-Files investigators for the Geneva Shore Report have found four properties where this activity is in full swing. Remember, as you go out into the cold alley, or down into the basement, or along the side of your building, that if there is only one electric meter for your unit then you are paying for the whole building. If there are two or three nearby, you may still be paying because it is so difficult to see what wires are going where. If you are in doubt, call Alliant or WE Energies to come out. The energy companies are protected from suit by law for such theft, but building owners are not. And one final note, for those of you who think your landlord can legally get you to sign a lease saying you’ll be thrown out with only 24 hours notice, or three days’ notice, think again. The average time allowed in Walworth County for someone being evicted from a business property (and that’s without paying rent) is ninety-eight days! If you feel you’ve been wronged, then you have plenty of time to fight. If you think, by chance, that Mike Keefe’s leases are the standard fare used in and around Lake Geneva then you would be wrong. 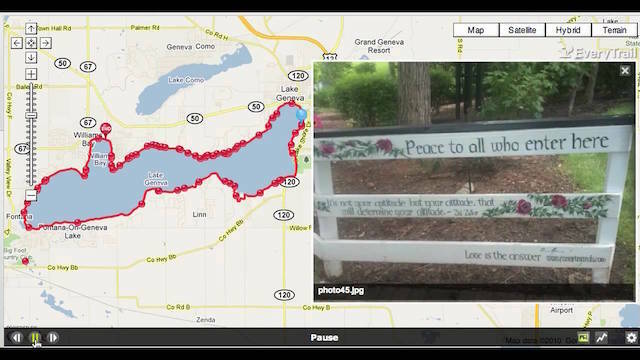 Geneva Shore Report X-Files investigator’s have studied three small business leases signed by Mike Kocourek; another huge owner of business property in Lake Geneva. These three leases were each less than two full pages long! There’s nothing about fixing his old heaters, paying for somebody else’s electricity, paying his potential legal bills, or even entering the leased premises without permission of the lease holder inside them. 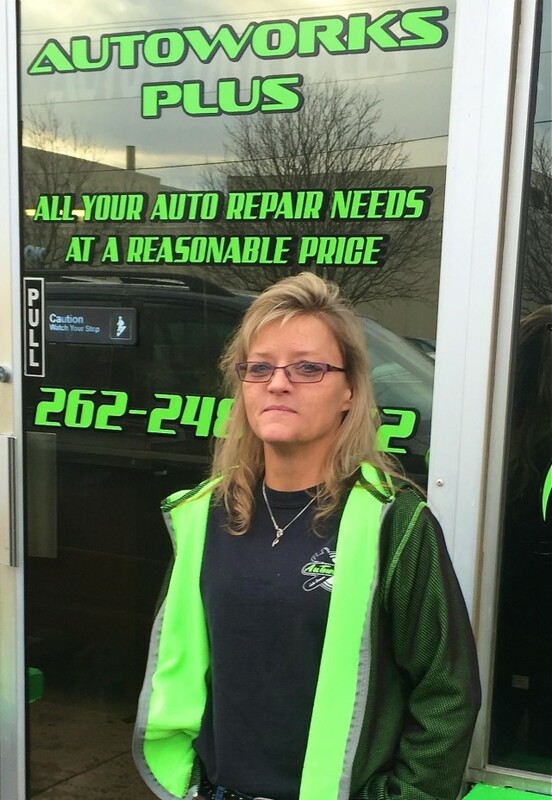 There’s no nonsense about this woman (Chris, the owner) so if you are having trouble with you automobile or your truck then expect that same kind of tough-minded but friendly approach to getting you back on the road. Autowerks in Lake Geneva. You’ll find the number when you car won’t run anymore. What is it about that new place that just opened up where the Bead Shop used to be? Lac (pronounced “lock”) something or other of Geneva, right there on the corner of Broad and Geneva Street. Tilly is the French dog that runs the place, but be aware she does not speak English. The owner, bending down to pay homage, and take the Christmas collar off that Tilly hates, translates handily and is just as cordial and nice as Tilly.